Recently I found out that House Hunters was on Hulu, so of course, I started binge-watching episodes of this show. House Hunters is a show that is on HGTV and it follows couples as they tour homes and decide which home they would like to call their own. As I was watching this show I realized that you can take a lot of the lessons learned there and use them to discuss the college search process. It is summer and whether you are about to start college after a grueling search process or you are looking forward to starting the search process I think you will like this post. 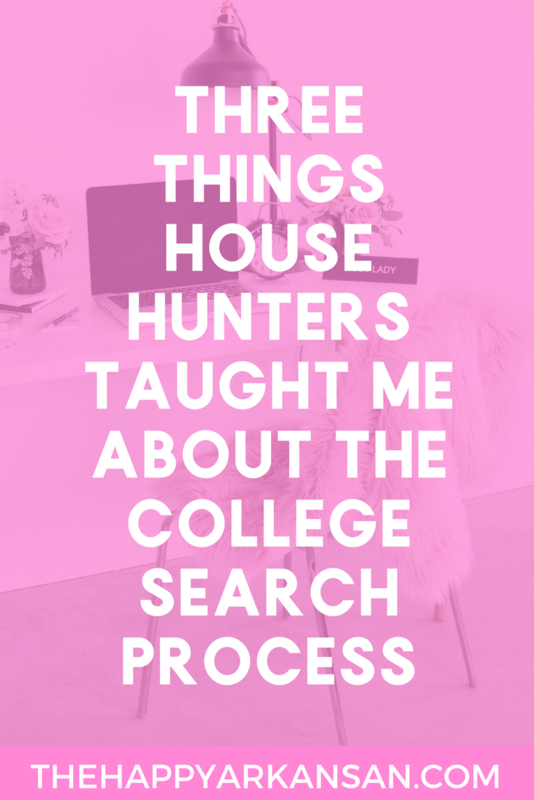 Creating a wish list of what you expect from your college is key to have a successful college search process, just like it is key to finding the perfect house on House Hunters. If you have ever watched an episode of House Hunters you know that the whole premise of the show is finding the person or couple three houses that meet elements of their wish list while also sticking within their budget. In order to have a successful college search, you need to start with a strong wish list. Here are some ideas of things you may want to include on your wish list, ultimately you want to make sure that you create a wish list that is specific enough so that you aren’t looking at all the colleges but wide enough so that you have enough colleges to look at. Country: What country do you want to attend college in? Region Of The Country: What part(s) of that country would you most like to be in? Majors Offered: What major(s) do you need the college to offer? Urban, Suburban, or Rural Surrounding Area: What does the surrounding area look like? Are you in a small town or a big urban city? Small, Medium, or Big Campus: How big is the campus population? On-Campus Dining Options: What options are there for eating on campus? Public Transportation: What does the public transportation look like on campus and in the surrounding area? Extra-Curricular Activities: What clubs and organizations are on the college campus? On-Campus Living Options: What living options are there? Will you be forced to live in a dorm or are there on campus apartments? Class Sizes: How big are the classes? Can you expect a ton of huge freshman lectures, or are the class sizes pretty small? Campus Diversity: How diverse is the campus? If you are a part of a minority population will you feel like an outcast? Campus Safety: How safe is the campus? Are their blue lights around campus? Is the Police Department Heavily Involved? Cost Of Attendance: What is the COA of the campus? Is it expensive? Are their scholarship opportunities? College Prestige: How prestigious is the university to the state or the country as a whole? Alumni Relations: How are the alumni of your college doing? Are they able to easily find jobs? 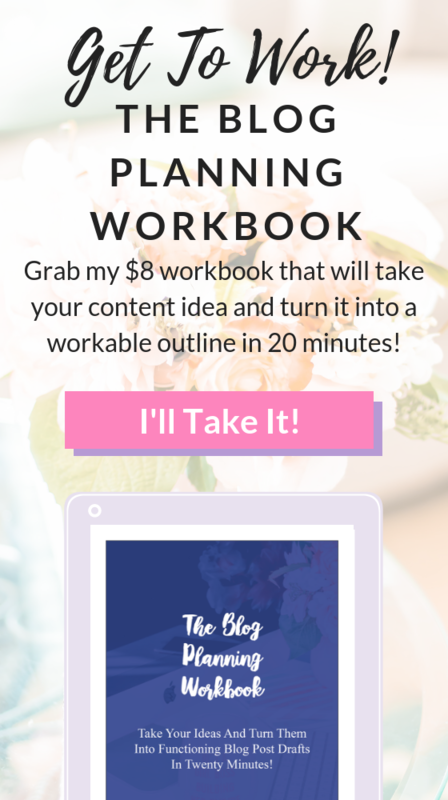 As you can tell there are SO many things that you can add to your wish list, but it is about narrowing down your wish list to a couple of really important details. House Hunters obviously oversimplifies this process as their wish lists usually include three simple must-haves, but you do want to simplify this wish list as much as possible so that you can have an easy search college search process. Sit down with your preliminary thoughts about your ideal college and see if you can narrow that wish list down a bit so that you are focusing on the most important wish list items instead of all the wish list items. It is simply not realistic to expect that you will find a college that meets all of your wish list items perfectly. Compromise is key if you want to find a college that you will be able to call home without getting overly stressed out. If you look at an episode of House Hunters, rarely will the real estate agent be able to show the couple a house with all of their wish list boxes checked off. Also, sometimes the real estate agent will show them a house that is way off their radar, but it ends up being a beautiful house that they really feel at home in. When you have these checkboxes it can be really easy to become so focused that you forget to explore a bit. Finding your perfect college will take time and energy. You must be willing to slow down and really explore the different college options that are out there. With a house search, exploring is a bit easier because you can hire someone like a real estate agent to help you navigate the search process. 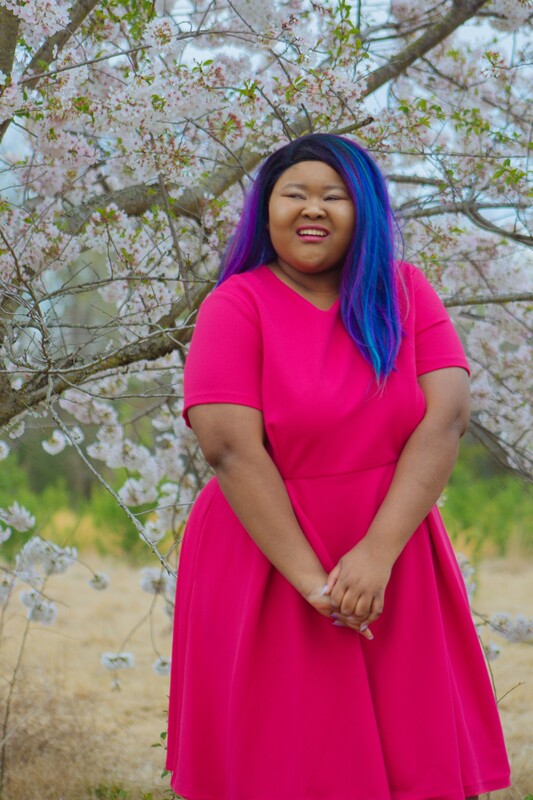 There are ways to explore with the college search process, though, you just have to be open to all the ways that you can explore a college campus. Look at colleges and universities that are completely outside of your wish list. If you are sure you want to attend college in a big city, also look at some colleges that are in a suburb or a rural town. You might be surprised at how you feel once you actually look at those colleges. This may just be the past college tour guide in me talking, but I believe that touring as many colleges as you can is crucial. If you can only afford to tour one college, that is okay, but I think the more the merrier. In an episode of House Hunters, they really make a big deal of touring each house, asking questions about the house and the neighborhood, and just being an engaged homebuyer. When you tour your college, you should try to be just as engaged. When I was a college tour guide I loved when people were open and asked a lot of questions. I didn’t like giving the same, boring cookie-cutter campus tour. Don’t know what to ask your college tour guide? I have a great list of possible questions you may want to ask as you are touring. What if you can’t tour a campus? Virtual Tours: Many college campuses have invested in videos that showcase the campus virtually. These can be a great resource if you can’t come to campus. Information Nights: If you live in a nearby state or in a different part of a state, colleges will often host information nights closer to your location. I know that my alma mater UCA used to host Information Nights where college admissions counselors would attend events in different cities across the state which helped bring the college to smaller towns across Arkansas. Brochures: Many colleges have tons of admissions brochures that can be really in-depth and chock full of informational tidbits. College Newspapers: Another great way to get a feel for the college is by reading their college newspaper. A lot of colleges share their newspapers online so if you can find them, it would be a great way to get a feel for the campus from students who live on/near campus. Social Media: Another great source of learning about a college is by looking at their various social media platforms. Don’t just look at the information that the college itself puts out. Look at people who attend the school as well. Do they show pride in their university? Do they talk about their campus community often? Really look at what people are saying about your potential school and how they interact with it on social media. Obviously, if you are depending on virtual tools to think about the college search process you will have a bit of bias. Virtual tours are crafted by the university (and so are information nights and brochures), college newspaper staff members are often paid at least somewhat by the university, and everyone tries to be as positive as possible on social media. It is important to just try to get information from as many sources as possible to paint your picture of the university and try to see through the bias. Of course, there is going to be some amount of bias when it comes to virtual tools and you can’t expect to get the full picture, but that shouldn’t stop you from using these tools. House Hunters is a great show that can teach us a ton about the college search process. This blog post idea is such a basic concept but I am always here to share random, interesting thoughts about college and college life with y’all. What has a television show taught you about the college search process? I have never thought about how much House Hunters is like the college search process, but now I can see the connection! I agree with so many of these points, too. My one regret when doing my college search was that I attended a lot of college tours on weekends or breaks, so there were very few students on campus; now that I’m actually in college, I can see how much of a difference it would have made in my college decision. I never considered the college search to be like House Hunters! Haha, I love how you talked about the college search process in this way. It makes it more easier to understand and entertaining for those who love the show too.